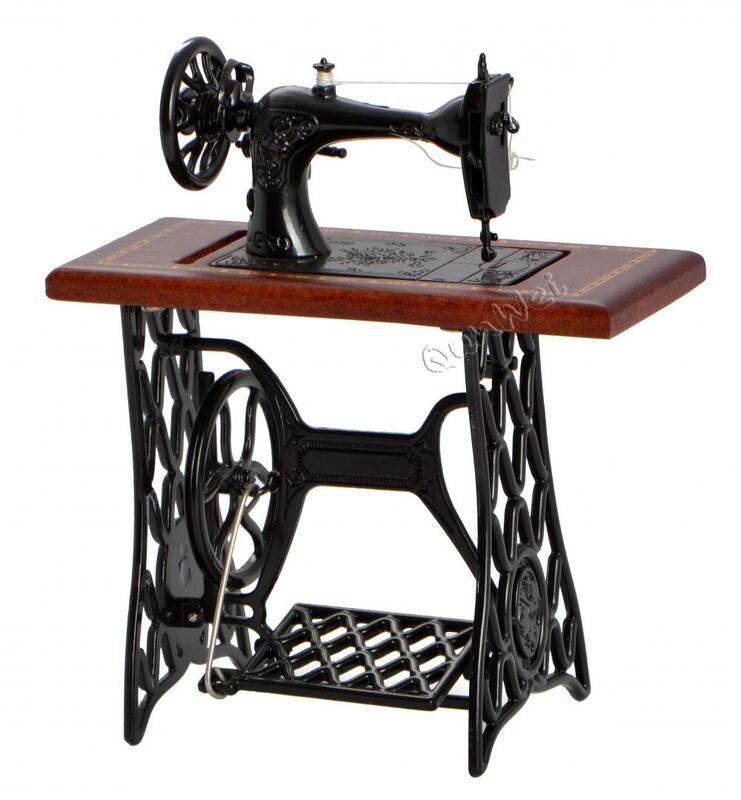 Dollhouse accessories also is a important part in Dollhouse Miniatures, this is a dollhouse sewing machine, it is 1/12 Scale Dollhouse metal treadle, black metal machine with beautiful design and excellent workmanship. This is a super high quality miniature treadle sewing machine, this sewing machine is made of antiqued metal with finely detailed, needle can moves up and down, the dimension is 85*45*105 mm. There are also Miniature Ceramic ,Miniature Musical Instruments,Miniature Kitchen Utensil ,Miniature Food ,Miniature gargen tool ,etc. Looking for ideal Miniature Dollhouse Accessories Manufacturer & supplier ? We have a wide selection at great prices to help you get creative. All the Dollhouse Miniature Sewing Machine are quality guaranteed. We are China Origin Factory of Sewing Machine Furniture. If you have any question, please feel free to contact us.